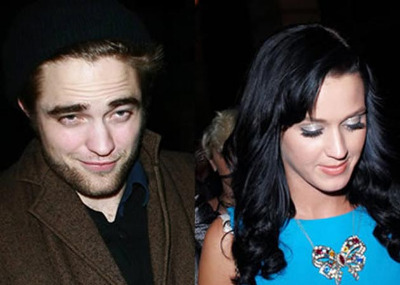 The tabloids have been trying to make a Robert Pattinson – Katy Perry – Kristen Stewart love triangle happen for several years now. First, they tried making Kristen a lesbian. When that didn’t work, they moved on to hooking up Rob with Katy. Scandalous, right? Three best friends with two secretly hooking up behind the other’s back? Well, it would be scandalous if it was even remotely believable. Who is everyone, exactly? Almost all of Rob’s and Katy’s common friends are also friends with Kristen, and I doubt they would be ok with one of their best friends getting her heart broken. Also, it was never actually proven that Katy was ‘cheated on’, so I doubt their ‘bonding’ had anything to do with that. Considering that Katy and Rob have been close friends for a very long time, including the time before Rob started going out with Kristen as well as when Katy and Rob were both single, it would have happened already if it was going to happen at all.